If you want to know the WHO, the HOW and the WHY of 9/11, this book provides the answers. In 28 extensive, thorough and detailed studies, 14 authors contribute their expertise on different aspects of 9/11 to resolve the issues decisively. 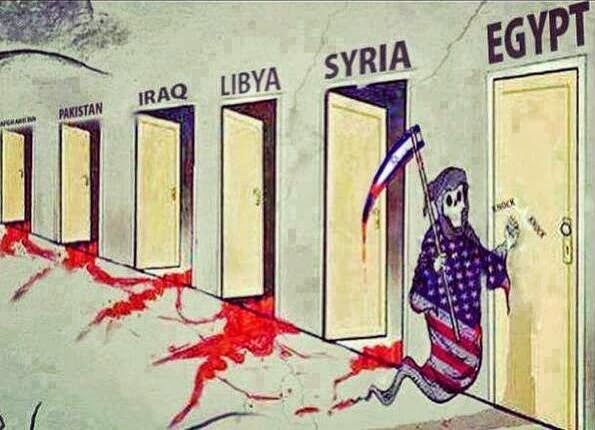 9/11 was brought to us compliments of the CIA, the neocons in the Department of Defense and the Mossad in order to justify the transformation of U.S. foreign policy from one in which we never attacked any nation that had not attacked us first to one in which we became the greatest aggressor nation in the world, launching a series of invasions intended to take out seven governments over the next five years, as Wesley Clark, former Commanding General of NATO, has explained. It hasn’t played out that way, but not for lack of trying. You will discover here that the most prominent 9/11 organization, A&E911, has been running a limited hangout focusing on the use of Nano-thermite, an incendiary, which has long since been demonstrated to be incapable of blowing the Twin Towers apart from the top down. While Richard Gage, Kevin Ryan and others acknowledge that other explosives may have been used, they refuse to explain what those could possibly be. Although their studies were based upon dust samples obtained from an apartment in the vicinity of Ground Zero, they deliberately ignore the far more extensive results of the U.S. Geological Survey’s dust studies, which reveal the presence of elements that would not have been there had this note been a nuclear event. Moreover, the Journal for 9/11 Studies perpetuates the charade by publishing articles intended to perpetrate the false belief that a Boeing 757 hit the Pentagon. Because the Pentagon is our nation’s military command-and-control center, it was this event that justified declaring a “War on Terror”. But the proof that no plane hit the Pentagon is overwhelming and compelling. In fact, as surprising as it may seem, none of the official “9/11 aircraft” actually crashed on 9/11, as evidence from the “crash sites” and research by Pilots for 9/11 Truth has established. The public was conned by resorting to a series of sophisticated fabrications, reinforced by the major media. This book demonstrates we have lost our way and are now no better than a third world, banana republic. An Aeronautical Engineer graduated from a major university with a Bachelor’s degree (with Honors) in Aeronautical Engineering with a major in aerodynamics. A qualified pilot and co-designer of two experimental aircraft, he has been engaged in aviation for over four decades. Many online debates about a “Boeing 757” at the Pentagon confuse the aerodynamic phenomenon known as Wake Turbulence (caused mainly by Induced Drag) with Ground Effect (caused as a reaction to downwash). Arguments that dispute the official account of a Boeing 757 approaching the Pentagon at 400 mph and taking out a series of lampposts are shown to be well-founded in their conclusion but in need to technical corrections to the explanations that have been advanced in their support, where a Boeing 757 at 400 mph could not have come closer than about 100 feet of the ground. Joshua Blakeney, a journalist and writer based in Calgary, Alberta, Canada, earned a BA (with distinction) in Sociology from Lethbridge. As a grad student, he received The Queen Elizabeth II Graduate Scholarship. His research on the Origins of the Global War on Terror became national news in Canada, when certain neoconservatives took issue with his chosen line of academic enquiry. He published Japan Bites Back: Documents Contextualizing Pearl Harbor (2015) based upon archival research he conducted at The National Diet Library in Tokyo, Japan. He has published in GlobalResearch.ca, The American Herald Tribune, Voltairenet.org, Coldtype.net, The Canadian Dimension, The Canadian Charger and The Information Clearing House. He recently started blogging about Japanese History. Dennis Cimino, who has extensive engineering and support experience with military electronics, predominantly U.S. Navy Combat Systems, was the Navy’s top EMI troubleshooter before he went to work for Raytheon in the 1980s. He has collaborated with Jim Fetzer on many articles about “false flag” attacks, including (with regard to Sandy Hook), “The Nexus of Tyranny: The Strategy behind Tucson, Aurora and Sandy Hook” (30 January 2013), “Sent worldwide, Shannon Hicks’ ‘iconic’ photo was faked” (18 July 2014), and “Sandy Hook, Stephen Sedensky, William Shanley and the Elaborate Hoax” (28 July 2014). He has also published extensively on various aspects of 9/11. His articles on the Pentagon, for example, include “The ‘official account’ of the Pentagon is a fantasy” (2012), “9/11: A World Swirling in a Volcano of Lies” (14 February 2014) and “Reflections on the Pentagon: A Photographic Review” (16 August 2014), and “Limited Hangouts: Kevin Ryan, A&E911 and The Journal of 9/11 Studies” (with Jim Fetzer, 14 August 2014). Jim Fetzer earned his Ph.D. in the history and the philosophy of science. A former U.S. Marine Corps officer, he has published widely on the theoretical foundations of scientific knowledge, computer science, artificial intelligence, cognitive science, and evolution and mentality. McKnight Professor Emeritus at the University of Minnesota Duluth, he has also conducted extensive research into the assassination of JFK, the events of 9/11 and the plane crash that killed Sen. Paul Wellstone. The founder of Scholars for 9/11 Truth, his latest books include The Place of Probability in Science (with Ellery Eells, 2010), And I Suppose We Didn’t go to the Moon, either? (2015), Nobody Died at Sandy Hook (2015) and And Nobody Died in Boston, either (2016), which was his 32nd. He also hosts the two-hour video show, “The Real Deal”, on Media Broadcasting Center M/W/F from 8-10 PM/ET and “The Raw Deal” on renseradio.com T/Th from 8-9 PM/ET. Don Fox has done extensive research on the role of mini-nukes by Dr. Ed Ward and on work by The Anonymous Physicist on the towers and has formulated an account of how it was done and why there is more to this story relative to very low-yield thermonuclear devices. 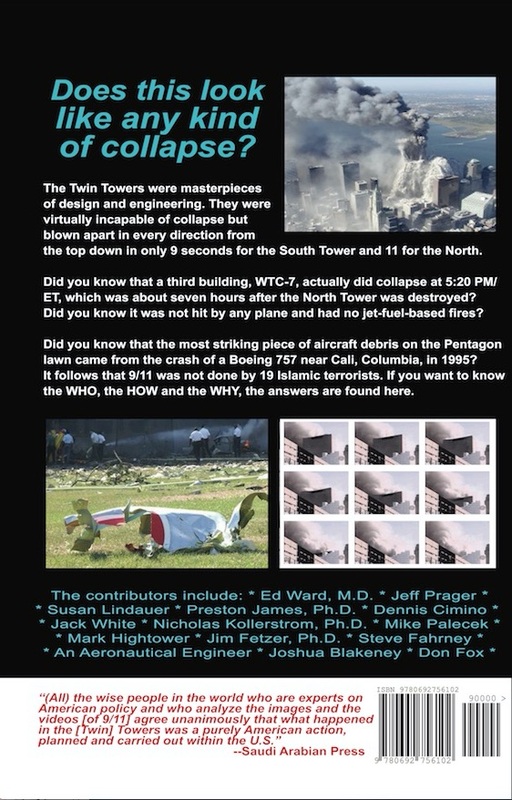 His articles include “Mystery Solved: The WTC was Nuked on 9/11” and “Mini Neutron Bombs: A Major Piece of the 9/11 Puzzle (with Clare Kuehn, Jeff Prager, Jim Viken, Dr. Ed Ward and Dennis Cimino). Don Fox has been among the most successful in conveying the results of this complex and technical research in a fashion that makes it easily accessible to a wide audience. See, for example, “2 + 2 = Israel Nuked the WTC on 9/11” and “Rainbow in the Dark: Powerful Proof of 9/11 Nukes”. He maintains a blog at https://donaldfox.wordpress.com. T. Mark Hightower earned B.S. and M.S. degrees in Chemical Engineering from San Jose State University and over 30 years of engineering experience. He has worked in the chemical industry, the space program and the environmental field. He is a member of the American Institute of Chemical Engineers (AIChE), the American Institute of Aeronautics and Astronautics (AIAA), and the American Water Works Association (AWWA). 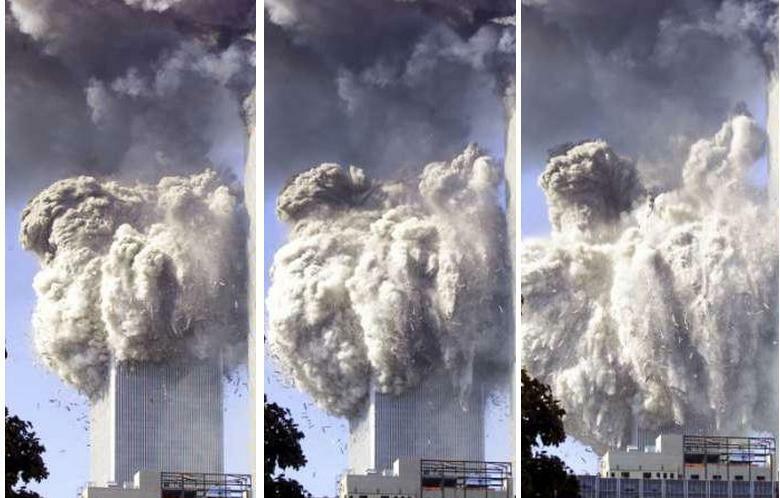 He became a “born again” conspiracy theorist in January 2004 after stumbling upon Peter Meyer’s Serendipity web site and learning that controlled demolition was a more likely explanation for the destruction of the Twin Towers than the official government story. He is a member of Scholars for 9/11 Truth, a petition signer at Architects & Engineers for 9/11 Truth, and a member of Pilots for 9/11 Truth. His 9/11 research is done as an exercise of his Constitutional rights as a private citizen, and in no way represents his employers or the professional societies in which he holds membership. He recently retired after 25 years with NASA. Nicholas Kollerstrom, Ph.D., has two history of science degrees, one from Cambridge 1968, plus a Ph.D. from London, 1995. An honorary member of staff of UCL for 11 years, he was in 1999 elected as a Member of the New York Academy of Sciences. A Fellow of the Royal Astronomical Society, he has several dozen articles on the history of astronomy in academic journals. His book, Terror on the Tube (3rd edition, 2011), establishes that the accused Islamic youth were innocent of the 2005 London bombings. Breaking the Spell: The Holocaust, Myth and Reality (2014), demonstrates that the official narrative of WWII cannot be sustained. He contributed four chapters to And I suppose we didn’t go to the moon, either? His latest book, The Life and Death of Paul McCartney 1942-66: A Very English Mystery (2015), has recently appeared. Susan Lindauer covered Iraq and Libya at the United Nations, as a U.S. Intelligence Asset and back-door channel on anti-terrorism from 1993 to 2003. Most notoriously, in the summer of 2001, her team warned about a major terrorist attack involving airplane hijackings and a strike on the World Trade Center. Lindauer also campaigned heavily against the War in Iraq, and developed a comprehensive peace framework through her back-channel in the run up to War. Her book, Extreme Prejudice (2010), is the true story of what happened when she tried to disclose what she knew personally of Iraqi Pre-War Intelligence and the 9/11 warning to Congress and the American people. Her attempts to bring the truth to the public led to the nightmare of her arrest under the PATRIOT Act and her imprisonment without trial at the notorious prison inside Carswell AFB in Texas. Mike Palecek lives in Saginaw, Minnesota, west of Duluth. A writer, he is a former federal prisoner for peace and the Iowa Democratic Party candidate for the U.S. House of Representatives, 5th District in the 2000 election, gaining 65,000 votes on an anti-war platform in a conservative district. A former award winning reporter, editor, publisher in Nebraska, Iowa, Minnesota. The small newspaper that Mike & Ruth Palecek owned and operated in Byron, Minnesota, won the MNA Newspaper of the Year Award in 1993. He co-hosts “The New American Dream” radio show and has published over a dozen books that offer fictional but insightful studies of the American character and the plight in which we lend ourselves in the world today. Mike is the founder of Moon Rock Books and the co-editor of this volume. Jeff Prager, founder of an award winning magazine for senior citizens, set out in 2002 to prove that 19 Muslims had hijacked four airplanes and attacked us. 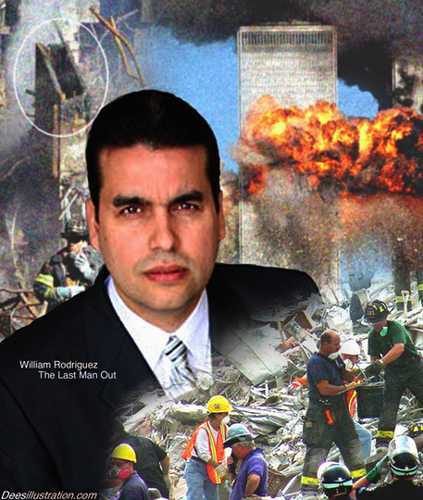 After extensive investigation by 2005, he realized that the official narrative of 9/11 was false, sold his business, left the United States and began to conduct 9/11 research full-time. What he found astonished even himself, because the evidence that the Twin Towers had been destroyed by a sophisticated arrangement of very small nuclear devices became simply overwhelming. He subsequently published an extensive and detailed report about this research in 9/11 AMERICA NUKED! (2012), which is a 500-page book available to the public for free, in Part 1 and Part 2. Mike Sparks is a graduate of Liberty University with a B.S. degree in History/Education. His last assignment in the U.S. Army Reserves was as a MOS 11A5P Airborne-qualified Infantry officer with the rank of 1LT promotable. He leads Military Intelligence Group 7 (aka MI7) focusing on how Commander Ian Fleming, creator of the fictional super-spy James Bond (Agent 007), is actually warning us in code of real organized evil entities. He is the editor and co-author of several military reform books, including Air-Mech-Strike: Asymmetric Maneuver Warfare for the 21st Century (2002) andAirborne Warfare: New Edition (2015), plus several books on American Cultural Reform; Racket Theory: Why Humans Embrace Problems instead of Solving Them (2006), Hive Theory: Why Humans Stay in Destructive Rackets(2015) and in the military/spy arena with James Bond is REAL: The Untold Story of the Political & Military Threats Ian Fleming Warned Us About (2011). More recently, he has published The Point of Gravity (2012), Masquerade: Everything is NOT What it Appears (2013) and The Bell Tolls for Thee: The Poppy is Also a Flower (2014). Ed Ward, M.D., among the leading experts on the use of nukes on 9/11, maintains an extensive archive about them and other forms of malfeasance by the U.S. at his “Weblog of Tyranny”, https://edwardmd.wordpress.com. He has been among the most brilliant and tenacious investigators of “false flag” attacks by the government and other entities, where his recent publications include “EgyptAir 804: Just another Government Mass Murder” and “Proven 9/11 Nukes = U.S. Government Involvement”, where he was among the first to appreciate that the official account of plane impact/jet-fuel fires/collapse was completely preposterous and scientifically indefensible. 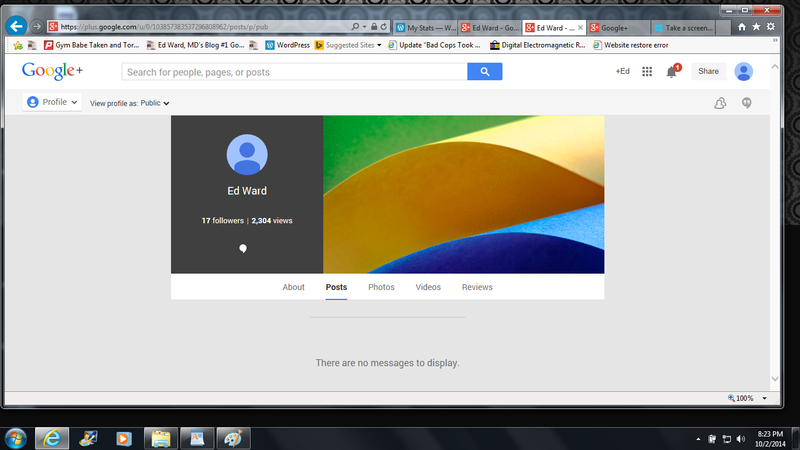 Ward has also appeared as a guest on “The Real Deal”, which you can hear at radiofetzer.blogspot.com. Subject: Just an FYI: Updated a picture in Proven 9-11 Nukes, and Revised the Number of Nukes Needed for the WTCs. Sorry about wasting your space for Fixed Vote, https://edwardmd.wordpress.com/2009/10/23/fixed-vote-no-vote-i-will-not-assist-thin-air-vote-counting/, forgot it didn’t do that well last run, but better than this run. Appreciated, since I always try and rerun anything they censor or cut. Cutting my graphic link made me feel the need to repost. Vote fraud is apparently a ‘given’ now. Note the two different class micro neutron nuke explosions frame by frame. (Update 1-23-14: Note the Two Nuke Clouds Rising – Most Likely Scenario: Off center towards the left dark/light cloud in the first frame rising, a split second prior to the white cloud rising. Both bases expanding horizontally exponentially, as are the vertical column nuclear clouds.. The blasts are in perpendicular sides of the WTC indicating it would take two nuclear charges per section which would double the number of .o18 kiloton nukes used on WTC1, and WTC2 in my previous ‘number of nukes needed’. A video of a 23 kiloton nuke 1946, 1,278 times more powerful than the micro neutron nukes used on the WTC, while the size of the cloud is dependent primarily on yield, the basic cloud structure and color changes remain essentially the same for that type nuclear weapon – http://www.youtube.com/watch?v=-l6Q8Q1smwg. The difference in cloud color in the two blasts seems to indicate two different ‘classes’, or ‘types’ of nukes used. The darker cloud the old style micro neutron nuke, and the lighter cloud a pure fusion micro neutron nuke – it would make a needed comparison for damage of the old vs new nukes. too much going on. Is this a new link you would like attached to your title. 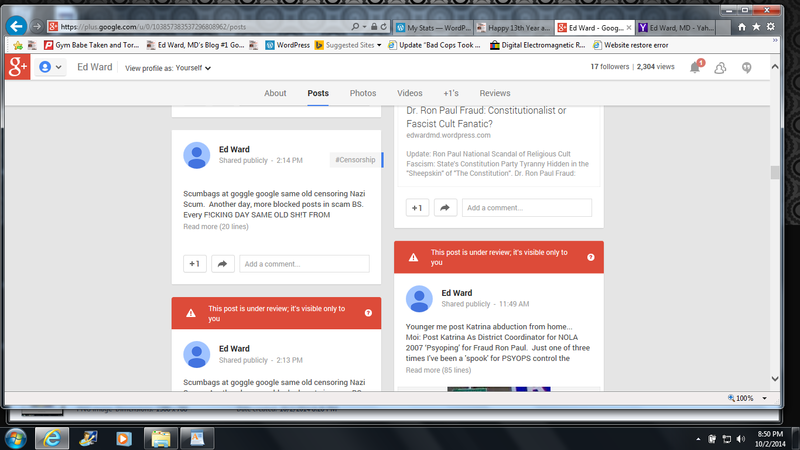 No, it’s the old proven 9 -11 link with the minor update on the picture. Agreed, it is amazing the amount of fascism being revealed daily now. When I first started, I’d sometimes have to scour the net for days just to find a fact of government fascism. Now they are broken by the minute, albeit by covert ops media with a slant. Quite frankly, I feel as isolated from the herd as our leaders actually are. There seems to be no fact that will affect the herd including their own impending demise. So, essentially, I’m just reacting to things that piss me off, or where I see them censor – tender spot. 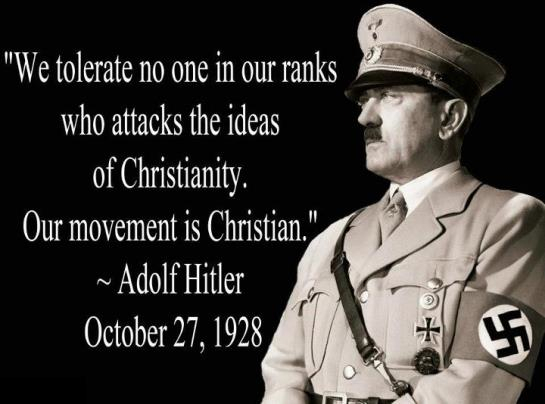 Seems when forced between showing Ezra, and my Hitler quote of we are a Christian movement – which they hid for a long time, they take the hitler pic. So, I’m not exactly sure what I want or wanted except to notify a friend with certainly more knowledge of the herd than myself of the information. 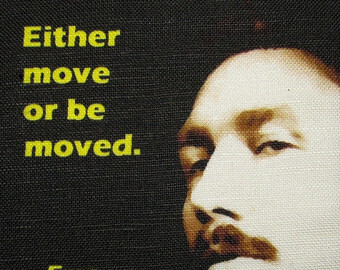 There is WAY more fat man in me than I would like – contempt for the herd vs attempts for the herd – BH. The only temperance is the herd seems no more concerned with its own impeding death than those they let be slaughtered. The herd appears to be led almost entirely on a subconscious level. The subconscious is formed by exposure and repetition of fact or BS. Exposure of the facts brings loss of access to the government medias, which denies access to the subconscious of the herd. It’s a basically simple procedure that has been honed for centuries with the ‘deselection’ of anyone not in compliance with the scam. IMO, the ultimate activist decision: obscurity or adherence. I thank the ‘sun god’ for my indoctrinated youthful naivety and stupidity that allowed a maturity to old to change. 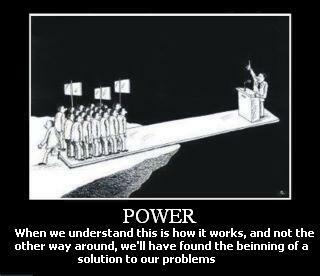 There are too many good people trapped in our selected herd. I’ve seen them. I’ve been helped by them. I know they are there. Like myself, we’ve been culled for centuries for our apathy and compliance. As always, you’ve been a good man and a good friend – Thanks Again. 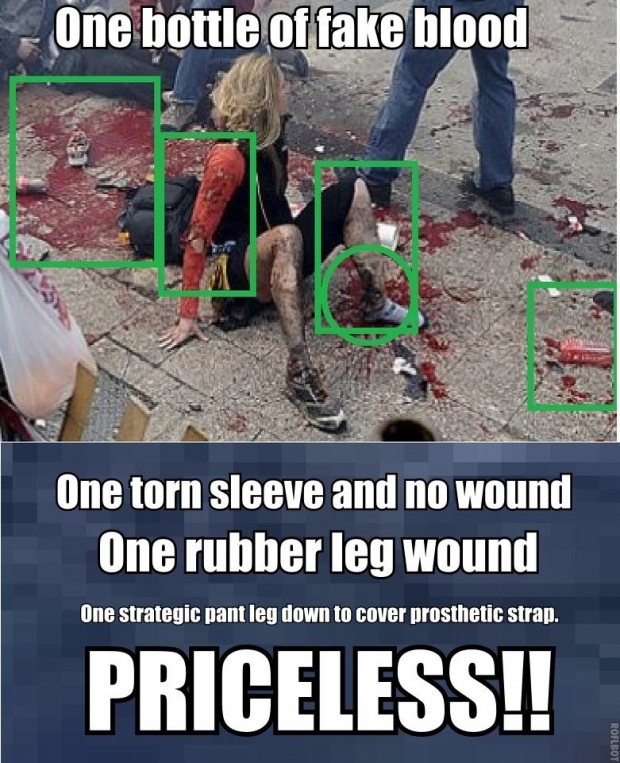 Since my information recieves virtually no coverage from the major truth organizations and sites, except for Rense.com (Example: Update: Witnesses Saw People ‘Vaporized’ on 9 11 https://edwardmd.wordpress.com/2013/05/21/update-witnesses-saw-people-vaporized-on-9-11/ ) , and Google’s limiting the exposure of my articles, I wrote “Update…” to get more exposure for “Proven 9 11 Nukes’ https://edwardmd.wordpress.com/2010/09/06/proven-9-11-nukes-us-government-involvement/. On February 18, 2011, Zen Gardner wrote a very good 1/2 article, but why would he author 2006 information as current? So, as noted above with censorship, Zen got the benefit of ‘doubt’ that possibly he hadn’t seen the highly referenced current ‘Proven 9 11 Nukes’. So I wrote Zen to ‘reblog’ his article, which he approved and sent him the site address for so he could see what I posted. In essence, I put the picture I wanted for the article reposted it with my current 9 11 nuke information – not the 5 year old information when his article was printed, now 7 years old. Interesting how he got my picture, but somehow missed ‘Proven 9 11 Nukes’ and STILL repubbed 7 year old information as ‘news’. Four days later, enter Dr James Fetzer, Zen Gardner, and Veterans Today (where I’m banned and can’t even comment on the scamming of MY articles with Fetzer and VT deleting comments on my own articles – VT ‘truth?’) with the same outdated information presented as my current information on 9 11 nukes and my articles picture being presented as Zen’s 2011 picture in “9/11″. Since my stuff (anything with my wordpress site) is heavily censored by Google (the only other source for finding my facts beside rense.com and my wordpress site), this promotion of 7 year old information will show up in Google – as my current information. It must be noted that Zen Gardner did manage to get my ‘Update:…” article posted on Before It’s News – where I’m also banned. Strange that Zen noted my article in BIN, but not in his ‘9 11’? Fetzer and Veteran’s Today ‘Editing’ without Zen Gardner’s approval? 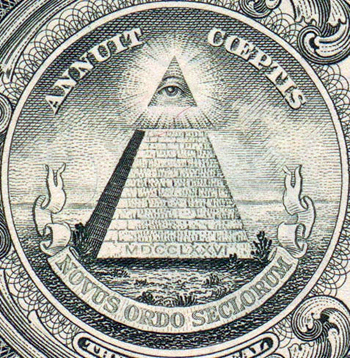 Jim Marrs’ efforts qouting my efforts was written 6 years ago and at the time, Jim exposed ‘current’ information – Jim asked me for permission to include the article in his book, to which I stated, ‘Absolutely… Thanks’. Since Jim, made an effort to expose facts, reciprocation was in order and his facts needed to be in my article. Up until ‘9/11’ was ‘repubbed’ the same was true of Zen Gardner. It would have been no problem to simply include Marrs information without reference to Zen’s article. 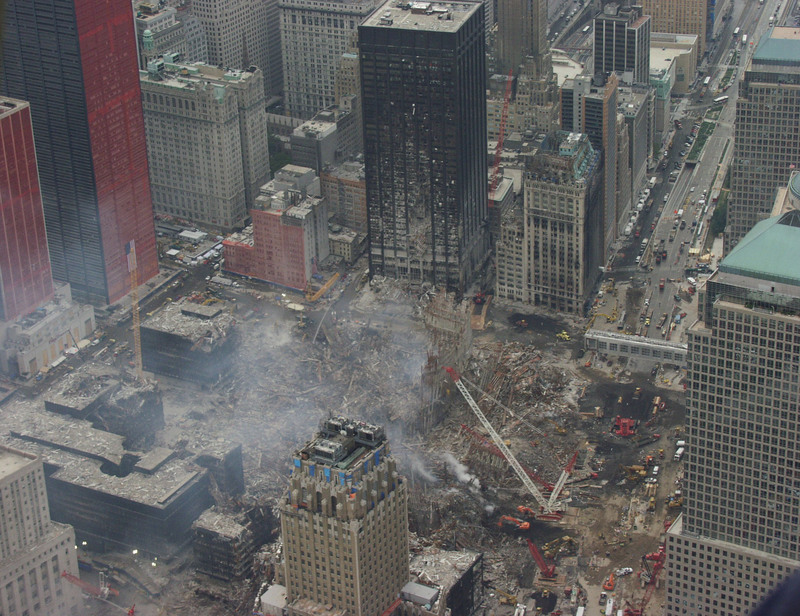 The eyewitness testimony presented in Gardner’s article were not new to me as “Bombs in the WTC Proves Nothing to Racist – Fascist Bigots” http://www.thepriceofliberty.org/06/08/21/ward.htm , and “US Government Usage of Atomic Bombs – Domestic – WTC http://www.thepriceofliberty.org/06/08/21/ward.htm , had many references regarding the eyewitness testiimony. Again, there was no need to include Zen Gardeners article in my update, but it was done along the order of ‘reciprocity’ and ‘doubt’. 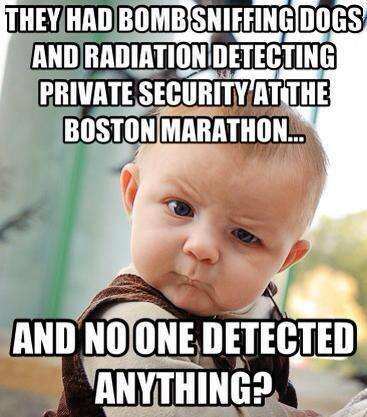 There is no doubt anymore after ‘9/11’. Infiltration of the Dr, PhD of logic, James Fetzer’s covert operation. 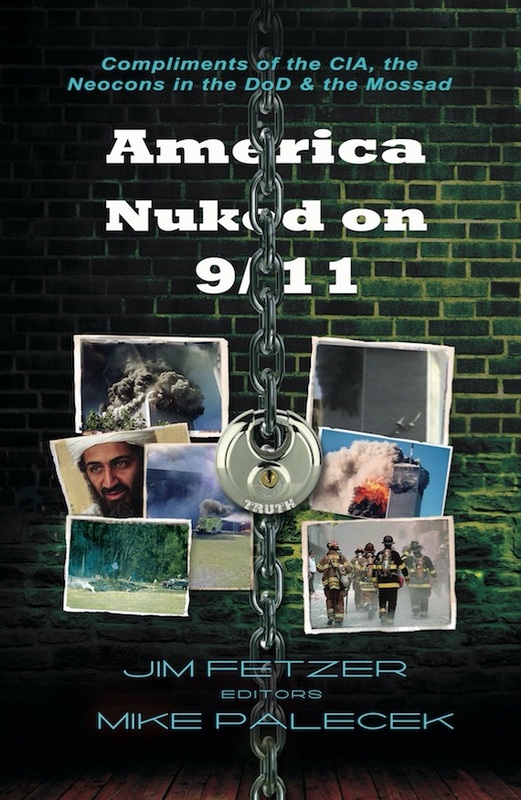 After 11 years of promotion of ‘no planes’, thermite, and ‘magical’ weaponry, Fetzer suddenly ‘discovers’ ‘micro neutron nukes’ several years after http://radiofetzer.blogspot.com/2010/02/dr-ed-ward-md.html ‘Proven 9 11 Nukes’ he ‘discovers’ his ‘9/11’ seven year old information and presents it as current. I’m quite surprised by ‘9/11’ as James Fetzer, Donald Fox, Prager and myself were supposed to be writing a letter to Jones: ‘Hard Evidence Supports the Hypothesis the mini nukes were used to Demolish the WTC towers. A little problem seemed to arise when Fox was told I would not put my name as author without a ‘Proven 9 11 Nukes’ and my 7 major facts regarding the amount of and type of devastation – emails saved. If he wanted to use my information, it would not fit with the scam of ‘mystery solved’, because once one sees ‘Proven 9 11 Nukes’ the evidence is overwhelming, anyone can clearly see the mystery was solved years ago and ‘Mystery Solved is merely an expansion by a software program of already noted information. The next thing I know 2011 ‘9/11′ is on Veterans Today. For years, Proven 9 11 Nukes’ sat at the top of Google listings for 9 11 nukes. 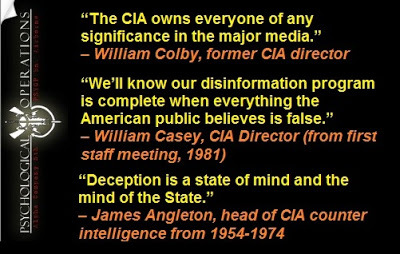 This was a major problem for disinformation agents and organizations. Fetzer’s ‘discoveries’ have weakened that position by never mentioning ‘Proven 9 11 Nukes’ – similar to ‘no planes’ scam, where there are ‘fake video’ bypasses the fact that military planes are clearly seen flying into the WTCs. Fetzer’s recent discovery of nukes is 4 fold. One, with Google’s assistance, Proven 9 11 nukes has been replaced with the ‘Mystery Solved’ BS. Two, Dr Judy Wood and Dr Steven Jones are being seen as the disinformation artists they are and Covert Operations needs a new ‘leader’ to push, Fetzer. 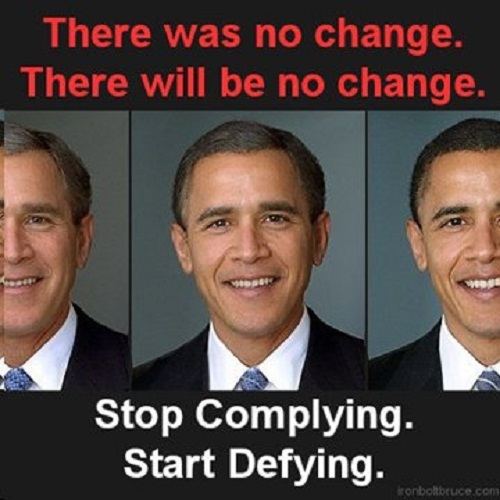 Three, just as they did for 9 11 ‘scholars, etc, if the operation becomes to well known – the poison pill is taken – no planes – and the operation is broken up. 4. Actually having some real facts on something, helps Fetzer’s No Plane Disinformation. Gordon Duff on Gordon Duff and Veterans Today: “About 30% of what’s on Veterans Today is patently false. 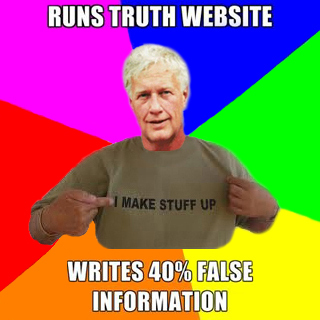 About 40% of what I write is at least purposely partially false, because if I didn’t write false information, I wouldn’t be alive.“ http://www.youtube.com/watch?v=3m-ZY0R1HdQ&feature=player_embedded No information provided on why he has to delete the truth in comments on Veterans today. Or, why he chose the ‘truth’ as a ‘career’, when he knows, according to him, that he can NOT tell the truth. In covert ops, ANYTHING that hinders, disrupts, halts or confuses the dispersal of factual information is GOOD. Another pic ‘Goggles’ doesn’t seem to want associated with me. 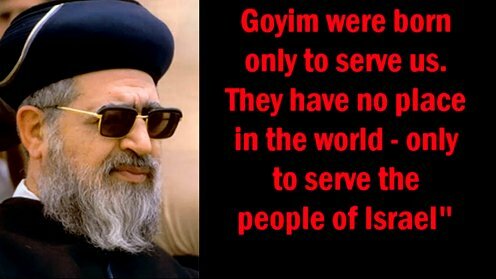 Talmud Genocide, Racism and Bigotry 2010 – Israeli Sephardic leader Rabbi Ovadia Yosef in his weekly Saturday night sermon said that non-Jews exist to serve Jews. 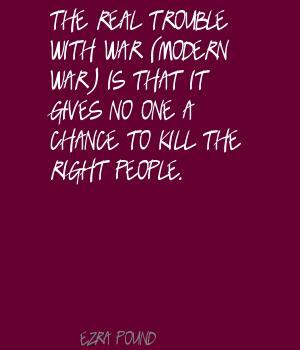 Connie reminded me of an interview with Ondrovic, published back in October 2001 (and which I’d read circa ‘04). When I expressed an interest to reread it, she dug up a copy and sent it to me (see attached). Ms Ondrovic’s account is truly ‘bizarre’, and a testament to the fact that there were forces at play on 9/11 that modern technology — indeed, mainstream science — simply cannot explain. Please read the attached PDF doc carefully. It’s one a helluva wake-up call. As this terrified woman was running pell-mell away from the first collapsing tower — her hair, coat and feet on fire — Ms Ondrovic witnessed vehicles parked along the street spontaneously erupt into flames. She even witnessed an aircraft disappear while in flight: “I saw something in the sky, it was a plane, but it was way out. It looked like it was over Jersey or something, then it wasn’t there anymore. I saw a small fireball, and it was gone. I saw two other planes. One came in one way, and the other came in the other way, and there was a plane in the middle that was way far off in the distance. Then the plane in the middle just disappeared into a little fire ball. It looked like the size of a golf ball from where I could see it. And the other two planes veered off into opposite directions. I just kept on running north.” And she’s got a lot more to say. Then there’s this other chap Connie knows (“a famous author”) who’d interviewed another woman who had witnessed “people engulfed in some sort of fireball and disintegrating.” Connie just dug up the following note from this person to her, and is checking to see if I may get in touch with him directly. “I interviewed a Red Cross worker in Dallas whose name escapes me at the moment but I have her report in my files. She told me she was sent to NYC by the Red Cross to help survivors of the WTC. She said the thing that most stuck out in her mind after interviewing dozens of people was the number that told her of looking back and seeing people engulfed in some sort of fireball and disintegrating. Felipe David working for Aramark Corp. tending vending machines in a basement of the North Tower recalled, “That day I was in the basement in sub-level 1 sometime after 8:30am. Everything happened so fast, everything moved so fast. The building started shaking after I heard the explosion below; dust was flying everywhere and all of a sudden it got real hot. I threw myself onto the floor, covered my face because I felt like I was burned. I sat there for a couple of seconds on the floor and felt like I was going to die, saying to myself ‘God, please give me strength.’ When I went in, I told them it was an explosion,” David, with his skin hanging in tatters may have been the person helped to safety by William Rodriguez. Skin dripping off the body was mentioned by several 9/11 victims. Gamma ray radiation can cause a person to just feel heat, then pain and then the skin will be damaged. The skin may be vaporized, charred or left hanging. Shirley Hoofard was a 38-year-old Red Cross worker in the Dallas area on 9/11. Hoofard was ordered to New York to begin working with victims and their families. She also was ordered not to reveal any information to the media or the public. “He looked absolutely terrified, he was shaking, he was pale, he was sweating. I looked at him, I said what’s wrong? He said there’s another plane headed our way, and they just blew up the Pentagon. I said, another plane? What are you talking about? I hadn’t realized that planes had hit this, I thought they just set bombs off. I didn’t realize when I got there that planes hit it. I said, what do you mean another plane? He said two planes hit the World Trade Center.” According to this – a fourth plane was on the way for WTC 7? My partner and I grabbed our stretcher, went to put it in the back of our vehicle, and at that time, I think it was the lobby of the building behind us blew out. Everybody started running, I didn’t see him again that day. He got thrown one way, I got thrown the other way. I started running towards the West Side Highway, and there was another building on the corner, I guess it was a federal building, cause it was all the green and gray uniforms with the Smokey the Bear hats, the cops in there. I went to run in the lobby cause all of a sudden you couldn’t see anything. 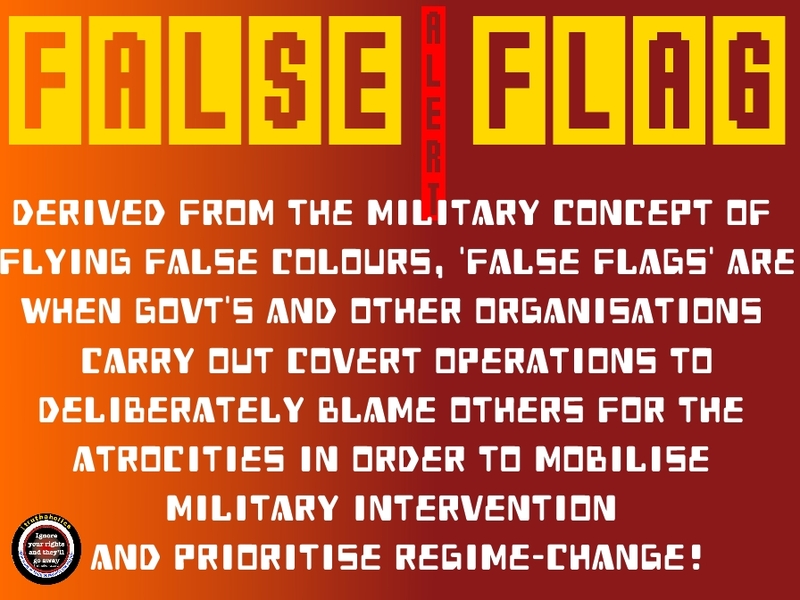 Instant War = False Flag Black Ops + Government Media Propaganda. Dr. Steven Jones’ WTC 9 11 ‘Treasonous Tritium Truth?’: When 20 Is Normal, How Does 1,092 Equal ‘Traces’? Basic Math, Law and Lies. Professor Steven Jones’ WTC 9 11 ‘Treasonous Tritium Truth?’: When 20 Is Normal, How Does 1,092 Equal ‘Traces’? Basic Math, Law and Lies. 5. In 2001 normal background levels of Tritium are supposedly around 20 TUs (prior to nuclear testing in the 60’s, normal background tritium water levels were 5 to 10 TUs – http://www.hps.org/publicinformation/ate/q2282.html ). http://www.epa.gov/safewater/radionuclides/training/downloads/Tech_Notes_for_Method_906_Tritium_06-17-09.pdf May 2009 pg. 4 The reference in the original article was for underground water. This reference is for Surface water. They are essentially the same. But, instead of “5 to 15 TU” (which would make the increase in background levels even higher), I will use 20 TUs as the 2001 environmental level to give all possible credibility to the lie of “Traces”. 6. Let’s calculate the proven referenced facts. Tritium level confirmed in the DOE report of traces of tritium = 3,530 pCi/L (+/- 170 pCi/L, but we will use the mean of 3,530 pCi/L). 7. This is my ‘fave’ because lies tend to eat their young. Muon physicist Steven Jones calls 1,000 TUs “The graphs below show that hydrogen-bomb testing boosted tritium levels in rain by several orders of magnitude. (Ref. : http://www.science.uottawa.ca/~eih/ch7/7tritium.htm ) – http://www.journalof911studies.com/letters/a/Hard-Evidence-Rebudiates-the-Hypothesis-that-Mini-Nukes-were-used-on-the-wtc-towers-by-steven-jones.pdf Yet, calls the EXACT SAME LEVELS quoted in nCi/L as “Traces” and “These results are well below the levels of concern to human exposure…”. http://www.journalof911studies.com/letters/a/Hard-Evidence-Rebudiates-the-Hypothesis-that-Mini-Nukes-were-used-on-the-wtc-towers-by-steven-jones.pdf Interesting isn’t it. 8. Thomas M. Semkowa, Ronald S. Hafnerc, Pravin P. Parekha, Gordon J. Wozniakd, Douglas K. Hainesa, Liaquat Husaina, Robert L. Rabune. Philip G. Williams and Steven Jones have all called over 1,000 TUs of Tritium, “Traces”. 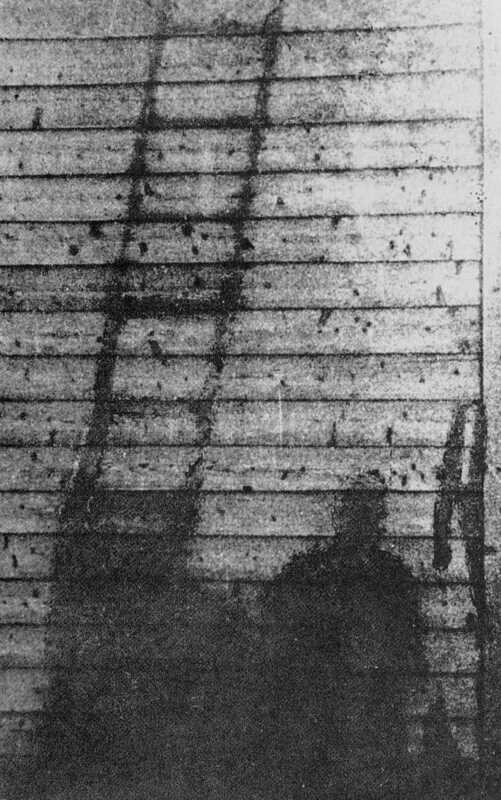 Even at the height of nuclear bomb testing – after thousands of Megatons of nuclear testing – 98% of the rainwater tests were 2,000 TUs or less. https://e-reports-ext.llnl.gov/pdf/241096.pdf (While indeed, the original title of the named authors was ‘Tritium levels Elevated’ they, unlike Jones who just lied about the title, use the same MAJOR flaw of neglecting the volume of the total sample – although one can clearly justify their decision to let the flaw stay with the routine imprisonment of government whistle blowers (Free Bradley Manning). 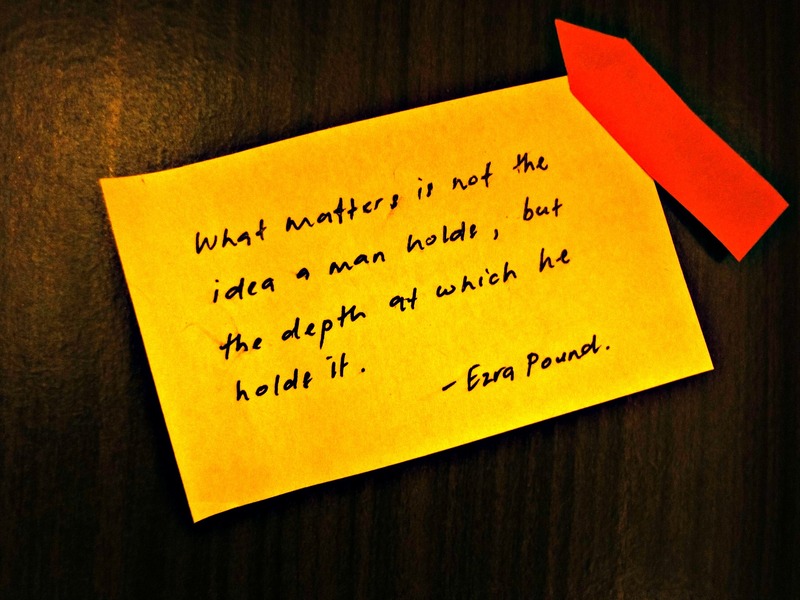 As for Jones “Hard Evidence Repudiates…”. The only thing Jones addresses in MY massive amount of evidence is ‘tritium’ AND JONES IS A PROVEN LIAR ABOUT IT. 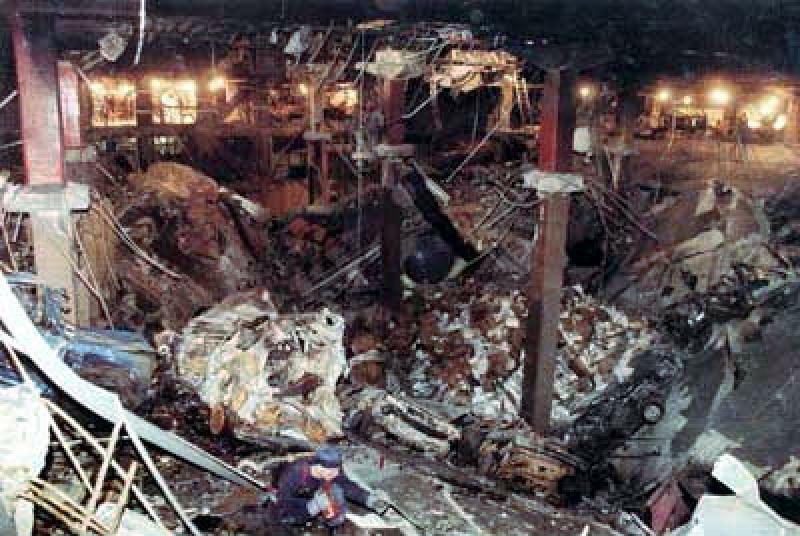 In 7 years can anyone show where Jones, Dr Judy Wood, or any of the supposed ‘9 11 truth groups’ – pilots, architects, etc, et al., covert op, cointel – has addressed proven text book nuclear bomb residue evidence in total, the onlg weapon known to exist that can causee all of the WTC ‘anomalies’ on the scale needed. 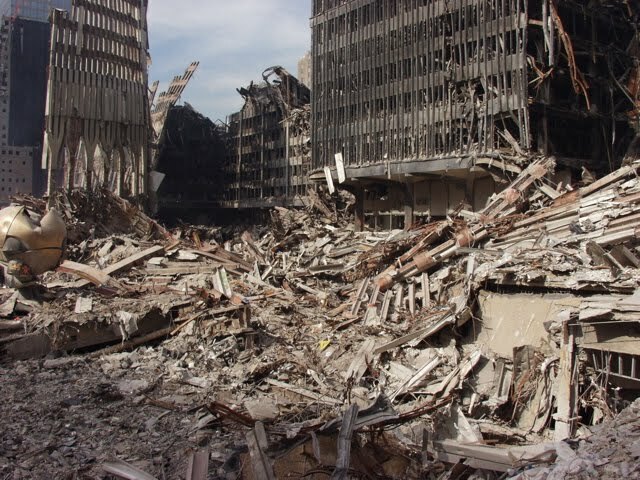 3 billion pounds of building turned into 2 billion pounds of instant dust, wilting 16 inch thick spires, 8 inch thick I beam horseshoes, ‘hiroshima effect’ spectrum of cancers, 3 massive craters, 5 acres of land at 1800 degrees, no DNA found for more than 1k people, impossible fires, anaerobic combustion, etc, et al. Jones posted ‘hard evidence’ 3 days after ‘Us Government Usage of Atomic Bombs WTC’ http://www.serendipity.li/wot/ed_ward/use_of_abombs.htm which was getting massive net exposure – 1 million hits in first opening month most of which came in the first few days thanks to Jeff Rense. This was MAJOR factual data for exposing the truth. Enter Jones ‘hard evidence repudiates’ which denies nukes based on a lie about tritium, bypasses all my other evidence and deals with ‘other’ inferior evidence. This was pushed heavily by ‘9 11 truth’ covert ops (Much like Dr Judy Wood’s DEW BS is being pushed, which now apparently includes time travel in her list of ludicrous ‘maybes’, what ifs, etc, most of which are secret with no verification that they exist and certainly no verification they exist on a scale needed to destroy the WTCs and under the known environmental conditions that occurred during the WTC demoliton. One doesn’t have to wonder about the outcome of her famous ‘court case’ which names NO WEAPON only a list of never ending possibilities http://webcache.googleusercontent.com/search?q=cache:r8-t3n54GkoJ:www.fourwinds10.net/siterun_data/government/fraud/911_attack/news.php%3Fq%3D1270671298+&cd=3&hl=en&ct=clnk&gl=us) , and still is – every year or so zombie hard evidence, proven lie about tritium – surfaces as ‘new evidence’, again bypassing MASSIVE proven evidence. Correction: 9-11 WTCs 1, 2, 6, and 7 Neutron Nuked. So, I went back and examined the thermal images – no evidence of tampering was noted (nothing like the crude blackening of WTC 6). 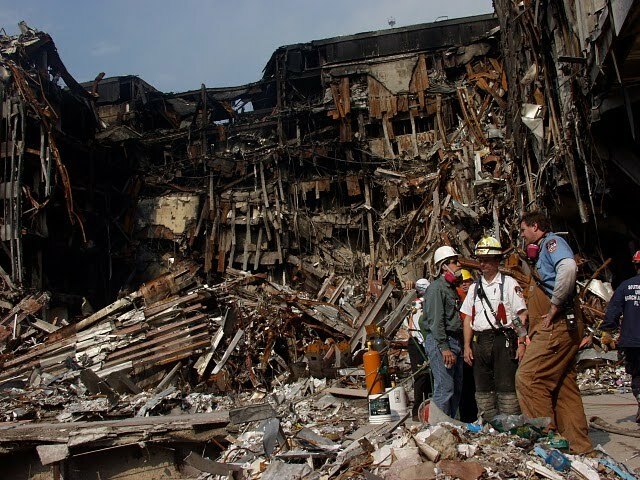 Indeed, there is minimal heat right after 7 was demolished and it still looks more like WTC 2 residue. But, very shortly after that, 3 large heat zones appear – linear, even spaced – 1 dead center and one on each side. It just took a while for the heat to transfer up. This would correlate with 3 surface to slightly sub-surface micro nukes in WTC 7. Set to explode just after/during the regular demolition would account for the more lateral flow of the pyroclastic flow. To date: 4 WTC buildings nuked using 10 micro neutron nukes total- most likely scenario. WTCs 1 and 2 – 1 in the basement – shook people out of the building, 1 at ground level – last to go off, and 1 about the 60th floor give or take a few. 3 for each building. WTC 6 – Excellent evidence of what 1 micro neutron nuke can do. Only 8 stories high, but it also left a hole 45 feet deep – sub ground level detonation. WTC 7 – The heat signatures indicate 3 micro neutron nukes – sub ground level detonation. That makes a total of 10 focused micro neutron nukes needed to account for all the evidence. The Nuclear Threat That Doesn’t Exist – or Does It? 【Pure Fusion Warheads The small tactical battlefield neutron bomb is the closest kin to a pure-fusion device. The principle difference is that in a pure-fusion device, the plutonium fission component is entirely eliminated. The pure-fusion device relies on the same deuterium-tritium mixture to create its burst of high-energy neutrons, but is designed to accomplish this “burn” without the use of any fissionable material. Thus, while still packing a neutron wallop, its explosive yield – the part that does the most physical damage – is much smaller because it lacks the fission component. 【To understand the reasons behind this concern, consider the small sizes into which very respectable yields can be packaged. Warheads whose weight lies in the 30 to 150 pound range can “have yields as low as 50 tons (high explosive equivalent) to tens of kilotons, several times the size of the first nuclear weapons that were dropped on Hiroshima and Nagasaki. The most available warheads and easiest to manage would be in the 100 ton to 1 or 2 kiloton range. Cohen points out that the neutron bomb doesn’t have the collateral damage of fallout, blast and heat effects that occurred in Hiroshima, but enhanced neutron flash radiation: `in about a thousandth of a second it will seriously irradiate enemy soldiers (in tanks, self-propelled artillery vehicles, armored personnel carriers, in field bunkers, and most other places where they may be) out to a distance of about half to three-quarters of a mile for a warhead yield of a kiloton… Roughly half will die, most rather quickly from shock to the central nervous system. … What doesn’t it do? Well, for start-offs, when the war is over the civilian areas — villages, towns, cities — will be in just about the shape they were in before it started. There will be no lingering radioactivity [residual doses from neutron induced activity in soil are insignificant compared to the flash dose of neutrons, and it decays quickly as in Hiroshima] prevent occupation of these areas; in fact, they can be reentered almost immediately. materials from a single weapon can be determined with fair accuracy by using the ABCM1A1 radiac calculator, which is a component of the M28A1 calculator set or by using newly developed automated aids. To make a quick estimate of fallout decay, analysts decrease the intensity by a factor of ten as the time after the burst increases by multiples of seven. For example, a dose rate of 50 cGy/hour at 1 hour after the burst decays to 5 cGy/hour in 7 hours and to about 0.50 cGy/hour in 49 hours. Boundaries for significant areas of newly deposited fallout are based on dose rates. For short-term (24-hour) occupancy of an area, the dose rate is 20 cGy/hour at 1 hour after the burst. For longer term occupancy, the dose rate is 10 cGy/hour at1 hour after the burst. FM 3-12 and FM 3-22 contain specific details of fallout prediction, decay, and total dose calculations. How Can You Sleep Aftewards? I Need to Know.